For more than 16 years, The Sims franchise has empowered players to express themselves through open gameplay and endless customization. That's why we're so excited that today's free* update to The Sims 4 features an expanded Create A Sim mode with new gender customization options, and gives our players even more ways to play with life. 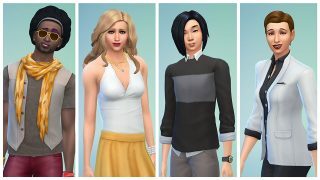 For the first time, you'll be able to customize your Sims without the gender boundaries previously set in place. This means you can now create Sims with any type of physique, walk style, and tone of voice you choose – regardless of their gender. We've also made clothing, hair, jewelry, and other visual options available to all Sims. 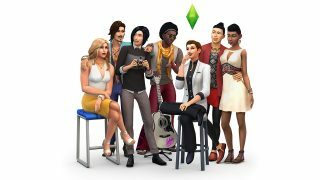 Over 700 pieces of content previously only available to either male or female Sims, have now been made available to all Sims regardless of initial gender selection. This includes content from The Sims 4 base game and previously launched packs. You can now dress your Sims in any attire, give them short, long or styled hair, or customize them with some personal accessories to top off their look. Through the addition of new filters and sorts in Create A Sim, what you do with these new options is entirely up to you! The Sims is made by a diverse team for a diverse audience, and it's really important to us that players are able to be creative and express themselves through our games. We want to make sure players can create characters they can identify with or relate to through powerful tools that give them influence over a Sims gender, age, ethnicity, body type and more. So, no matter how you like to play, we hope this update to Create A Sim gives you plenty of new options. Personally, we've had a ton of fun exploring how good many of the short hair male hairstyles look on the female Sims, and vice versa. And we’re just getting started checking out how outfits and styles look on totally different body types. We can't wait to continue to hear from you about all the ways you use the game to play with life. *REQUIRES INTERNET CONNECTION AND ALL THE SIMS 4 GAME UPDATES.